About David LeRoy Plumbing, Inc.
Home // About David LeRoy Plumbing, Inc.
We are constantly striving to EARN our customer’s business. Our team of employees and skilled technicians give 150% to each and every job they take on. Our dedication to every customer’s satisfaction with our service quality allows us to remain a leading local service provider. We’ve been in the plumbing and HVAC service industry for almost 20 years and are proud of the positive reputation that we’ve gained. Don’t just take our word for it though, see what our customer’s have to say about us here. David LeRoy started the business in 1998, starting out working from the basement of his home in Lewisberry, PA. David started the company with the intent to change the way that plumbers are viewed by society. He has established a team of professional, well-mannered, reliable plumbing experts. As a Master Plumber, David knows just about everything there is to know about plumbing methods and equipment. He brought to his business all of his plumbing knowledge and customer relationship morals. David admits that he didn’t know much about the business side of running a company at the beginning. He took business training and continues to take as many business courses available to him in order to improve the company. In 2007, the company office location moved into the current location at 539 Old York Road, New Cumberland, PA 17070. As a result of both his hard work and the great employees who’ve come to work alongside him, the company has grown and established itself as a highly capable and reliable local service provider. 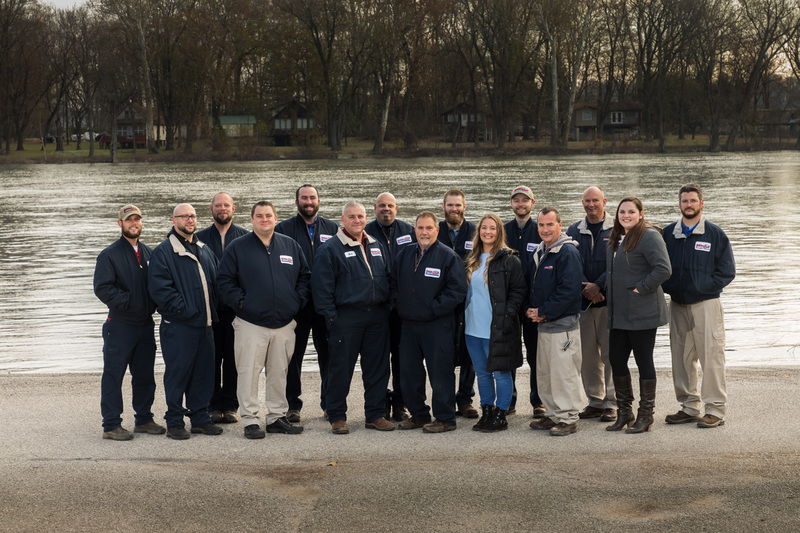 David LeRoy Plumbing, Inc. is now commonly known as the go-to company for reliable plumbing, heating and cooling service in the greater Harrisburg area. True 24/7 Emergency Service. You can call us any time, day or night, and we will have a technician available! A live person will answer your call 24 hours a day, 365 days a year. Our plumbers and technicians specialize in what they do; they are knowledgeable professionals in each area of service they provide. We are always keeping up-to-date with new technologies that can make your life easier, more comfortable, and convenient. We offer free estimates on large projects, up-front pricing, and warranties on our products and workmanship. Our trucks are well-stocked for fast and efficient repairs when we arrive at your home. All of our technicians and plumbers are properly trained and certified, and receive regular on-going training. Our services are backed by some of the best warranties in the industry, and they are in writing so you know it’s not just lip service. We respect the cleanliness of your home by wearing shoe covers and/or using floor covers. We want you to be happy with not only our quality of work, but also each and every part of your experience with our company. And these are just some of the great benefits of using David LeRoy Plumbing! Your satisfaction and experience with our company is the most important thing to us. 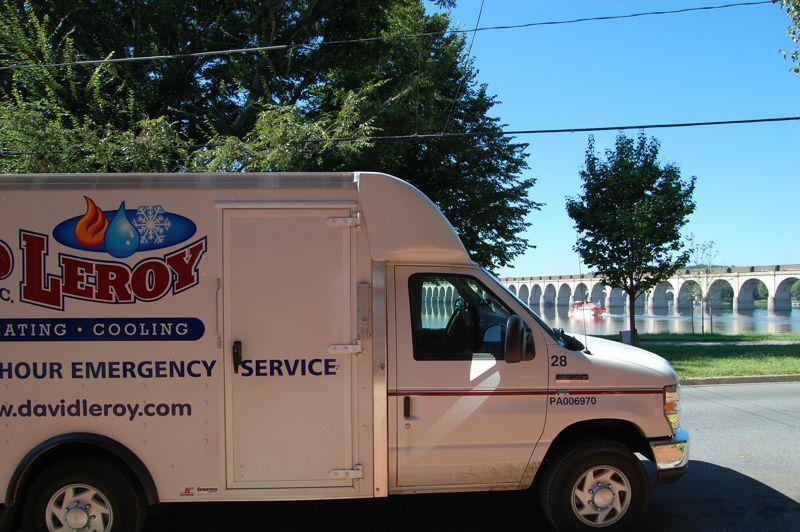 For all of your plumbing, heating and cooling service needs, we are the company you want to call.